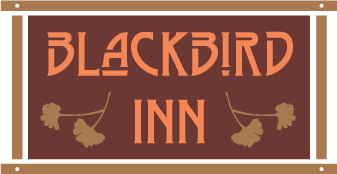 Blackbird Inn is located in downtown Napa which is about 50 miles north of San Francisco and Oakland and 10 miles south of Yountville and 15 miles south of St. Helena. Please Note: Due to inaccurate route information, we highly discourage the use of online mapping programs for directions to the Blackbird Inn. The Blackbird Inn is located on the corner of Jefferson and First Street.